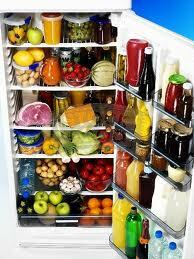 Here at On-Time Appliance we repair Refrigerators on a daily basis. One one of the popular questions that I am asked is ” How can I prevent my vegetables from freezing ” and still have my drinks cold. I am always moving my refrigerator and freezer setting from one to another. As soon as my drinks are the perfect temperature then my tomatoes freeze! There can be a mechanical or electrical problem with your refrigerator but lets try a few things first before we assume that. When you overload your refrigerator your stopping proper air circulation. Make sure you do not have bags our items covering vents in the rear or the sides. 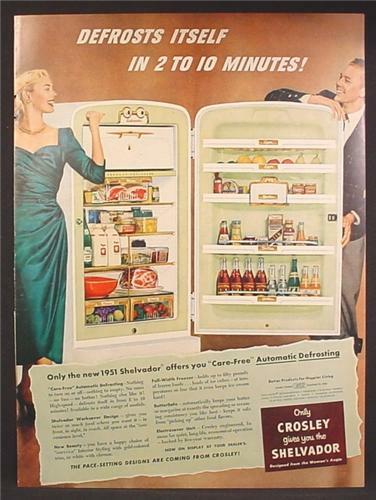 When the vents are obstructed it may cause the cold air to move slower thru the crisper drawers causing the vegetable or the meat compartment to freeze..
Automatic defrost cycles have been with refrigerators since the 1950’s. Over 60 years later it still not 100% full proof. From time to time the internal vents slowly start to freeze and restricting air flow. Some time your Dampers freeze in position and causes all kinds of cooling trouble. When this happens you must completely defrost your refrigerator and freezer. You must remove everything from your refrigerator and freezer, unplug the power cord from the wall and make sure the doors stay open for at least 12 hours. This gives you an opportunity to clean. And change that burnt out light bulb that you have been avoiding the few months. Its a good time to change your water filter also. After 12 hours of your refrigerator being unplugged ( with the doors open ). Plug it back in and set the controls to 1/2 way between the coldest and warmest setting. This will give you a good starting point on the temperature increase or decrease that you make. This should make a big difference in the way your refrigerator cools. If your having trouble then you might want to call a Refrigerator Repair Company.